Domino's, sometimes described as a technology company that makes pizza, is promoting its newest innovation in an old-school way: running a print ad in a newspaper. Domino's first-ever ad in the New York Times runs Monday on the back page of the main section. 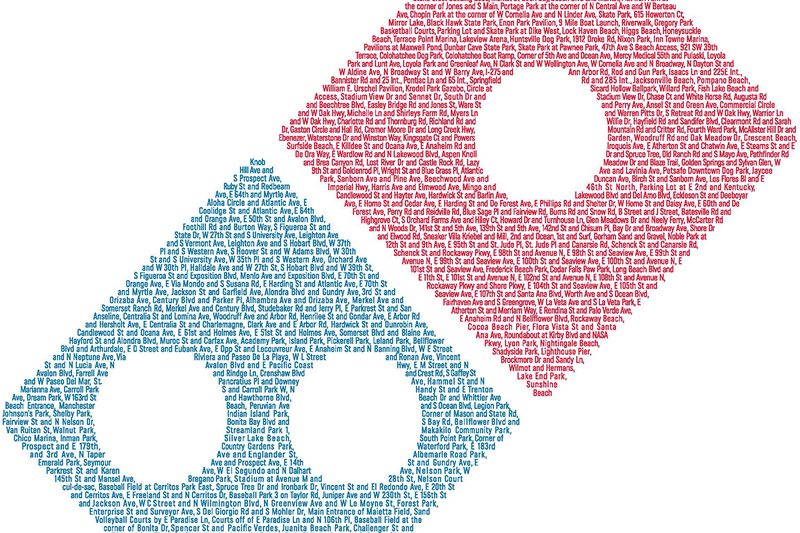 At first, it just looks like the chain's domino logo but a closer look reveals that image is composed of the names of thousands of locations where the chain now delivers--even when there's not a regular street address. Domino's launched 150,000 so-called Hotspots in April such as beaches, dog parks and ball fields. The locations were selected with the help of franchisees who suggested where locals hang out and might want to order pizza. Starting Tuesday, Domino's will ask customers to suggest other possible hotspots, which it plans to add to the online ordering system after an approval process. Now, it's delivering to pretty much anywhere a person suggests, as long as it's deemed to be a safe location. Even deep into the woods? Possibly. 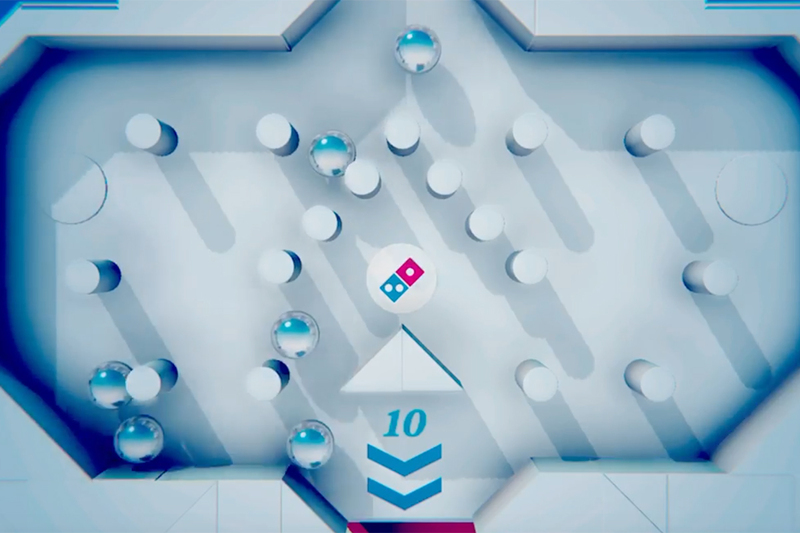 A TV spot shows a Domino's staffer traveling from hotspot to hotspot attempting to do "grand opening"-style ribbon cuttings at each and every location. He and a driver head from outdoor place to outdoor place, even delivering to Sasquatch, who clearly doesn't have a street address. 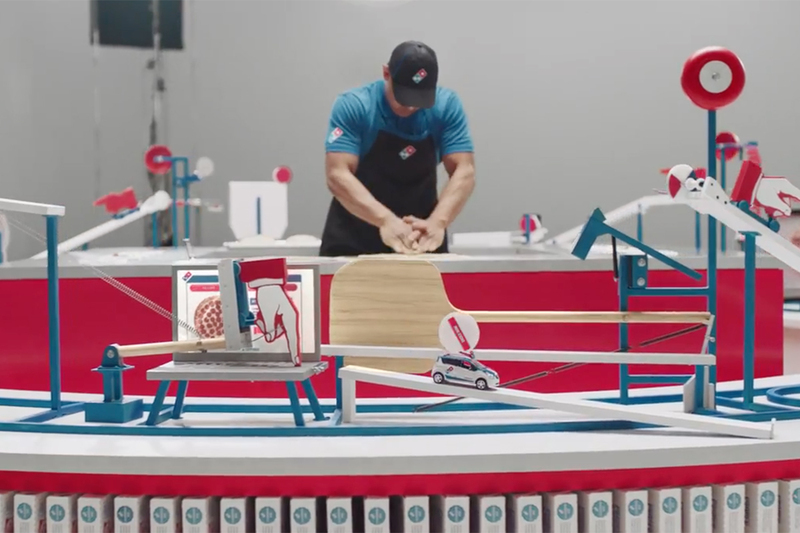 The campaign comes from CP&B, which has worked with Domino's for a decade. So far, some hotspots have proven quite popular, such as truck stop distribution areas, says Kate Trumbull, Domino's VP of advertising and Hispanic marketing. "We're seeing that there are really unique places that are popular for people to leverage the hotspots," says Trumbull, who adds that hotspots near colleges are also doing well. Trumbull acknowledges that delivery has been heating up across the restaurant industry. 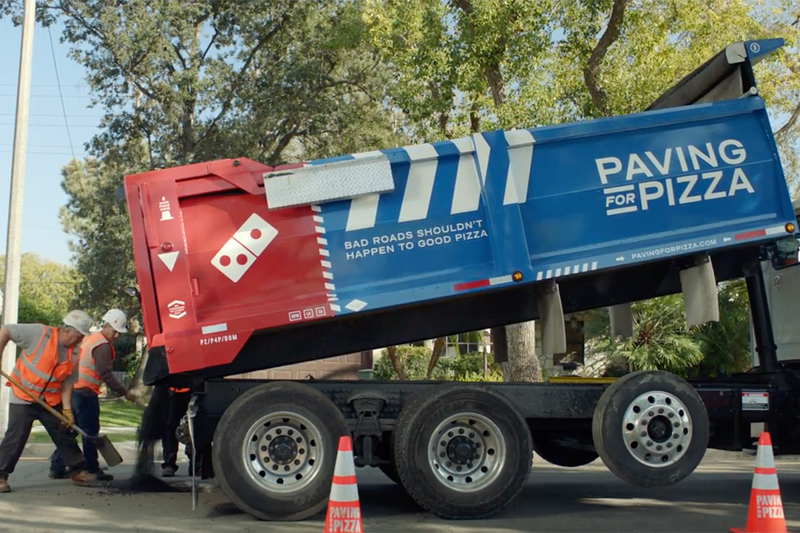 "I do think in today's world the bar keeps getting higher for what consumers want out of convenience," she says, noting that Domino's has been doing delivery for as long as it's been around. As for that New York Times ad, Domino's has plenty of locations in and near New York City ("it is a major market for us," Trumbull says, without divulging sales figures) and sees the Times as a prominent national publication where it makes sense to promote its latest technology. "We feel like this news is clearly game changer so we wanted to celebrate it in a creative way," says Trumbull.